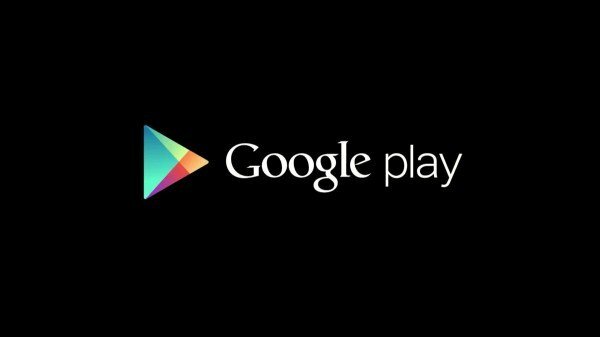 Google Play is big, but it isn't bold, bright or beautiful. In fact, sometimes it feels like a hulking, inefficient mess. From fake apps to terrible, unhelpful reviews, the site has its fair share of problems. But it could be even better than Apple's App Store if it just insitituted a few minor (and major) changes, allowing developers to contact users, streamlining the process of reporting fraudulent apps and tweaking its own search algorythms (which really shouldn't be soo hard for, um, a freaking search giant) so that the right app is easier to find. Here's our full list of changes. Allow developers to respond to user complaints directly under their posts on Google Play. This could allow for bugs to be fixed much more quickly. The star system is flawed for apps that don't have that many starred reviews. A thumbs up, thumbs down approach might be better. Folks should also be able to vote comments up or down. Works for Reddit. 'Nuff said. Permissions need to be more clear so that users know what they're signing up for. Right now, many app permissions sound scary. The app Lux's permission asks the user to "allow app at any time to collect images the camera is seeing" when what the app really does is get a rough ambient light reading when prompted by the user. If developers could explain the permissions better, we'd all be better off. FIX SEARCH. Seriously Google, it should not be so hard to find the right app. Most recently this became an issue when the app "Temple Run" literally could not be found mere days after its release. Hey Google, don't you own Google.com? Re-extend the refund period to 24 hours. Or don't, and continue to let AndroidPIT steal your business (we always offer 24 hour return policy on all our apps). For some reason, I didn't know Android Pit gave 24 hours, now that I do, you've got my business from now on. You've got an app for just that, yeah? 1) as long as the users address is not exposed: Yes. Ideally, this kind of answer then should fire a message via GMail, so the user gets notified. 2) is strongly needed, as some of the "bad apps" are not simply bad but dangerous. So the "report" should have a category (drop-down or checkboxes) to distinguish at least security relevant (and such urgent-to-remove) from just, um, "simply bad" apps. 3) No, the star system is fine. Having just a single "thumbs up" on certain apps does not tell you more than a single 4* rating -- but the other way round fits better. 4a) establish a "..android.adservice" process which only permits (and retrieves) specified apps -- making the "FULL internet" permission obsolete. Hey, you do so with a location service, so this shouldn't be too hard. 6) 100% agree. 15' are a joke - especially for more complex apps. If they have a free trial, it may be a bit different -- but the 15' window definitely keeps users away from buying apps not having such. I'm one of them. Seriously? "borrow" content much? I've been lurking AndroidPIT for awhile now and I generally liked what I was finding but this is just blatant. All you did was take the info from this dev and hack out all the information so it was just his opinion redressed. At least you could have credited the man. 7. Change the name to Google Market. ...and make it possible for ALL countries to purchase apps.